Recently I picked up Marcelle Hydra-C Ultra Light Matifying Fluid as I had read some good reviews for it and I've heard positive things about Marcelle skincare in general. This is a primer/treatment/moisturizer product that is hypo-allergenic, non-comedogenic and supposed to brighten skin with the anti-oxidants of Vitamin C and other natural things. I have very oily skin- so oily that I feel icky not even an hour after I apply my foundation on my T-zone- sooner if I don't use a finishing powder. So I've been on the look-out for over a year for a mattifying product that actually works. Add onto that that I have crazy sensitive acne-prone skin (which cancels out anything that has silicone as a main ingredient) I've not had many options to try, let alone found anything even worth a mention. This is very much worth more than a mention. The packaging is great- sturdy clear plastic with a metal pump and base. The pump is excellent as it allows half-pumps too. It also has an air-tight seal of the product itself. There is a level at the bottom that goes up with each pump ensuring that there is no wasted product near the end of the bottle. I love that- smart packaging for the benefit of the customer! This Hydra-C Matifying Fluid is a peach coloured gel that sinks in really easily. It's light weight and you don't need much, I use two pumps for my entire face and neck. It contains vitamins C, E and B5 as well as silica to absorb oil and hyaluronic acid which is supposed to help reduce sebum production. The Marcelle people on Twitter were very helpful- when I checked with them about the cyclo- silicone ingredients which I know worsen my acne, and they informed me that they only make up less than 4% of the formula making it alright on my skin. Their help in that way was exceptional, I've never had another company look that type of thing up for me before. I've asked other companies and either haven't heard back at all or they just directed me to the ingredients list again. I've been using it for about a month now and it works wonderfully. It goes on clear and sinks in and dries quickly. Sometimes it can have a very light short-lived stinging sensation but nothing over-powering. I believe it's just the active ingredients reacting to the skin. It keeps me matter throughout the day and I like the feel of it. I also find that as a primer it does reduce the appearance of my pores. Although the matte effect is not everlasting, (it does become sort-of saturated after awhile) this does really reduce the oily feeling on my face. In addition to this it moisturizes my skin enough that I don't need an additional moisturizer most of the time and I think it is even improving my acne. My face is looking clearer than it did before, which is an unexpected benefit I totally didn't expect. 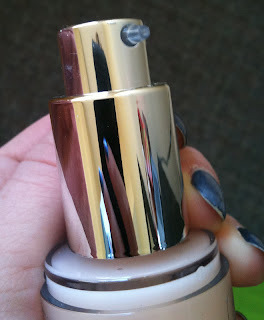 On, it can look kind of shiny by itself but foundation easily goes over it and the shine isn't noticeable. I don't recommend using more than a layer or two on the face though as I had a little pilling between my jaw and ear where I forgot to smooth fully once. Other than that I've had no issues and it has really made a big difference throughout the day and hiking to class. Even when the silica spheres in the formula have absorbed oil they don't look or feel oily, if your touch your face it will just feel slightly damp-powdery. Strange feeling but way better than shine-city and it isn't unpleasant. I don't think using this has reduced my sebum production any but I truly wasn't expecting that from this anyway. You can purchase this online on the Marcelle website or at most Canadian Drugstores. It averages around $23.95 in price but regularly goes on sale- I got mine for around $17 CND. Overall, I love this. it does multiple things for me at once as a moisturizer, primer and mattifier. 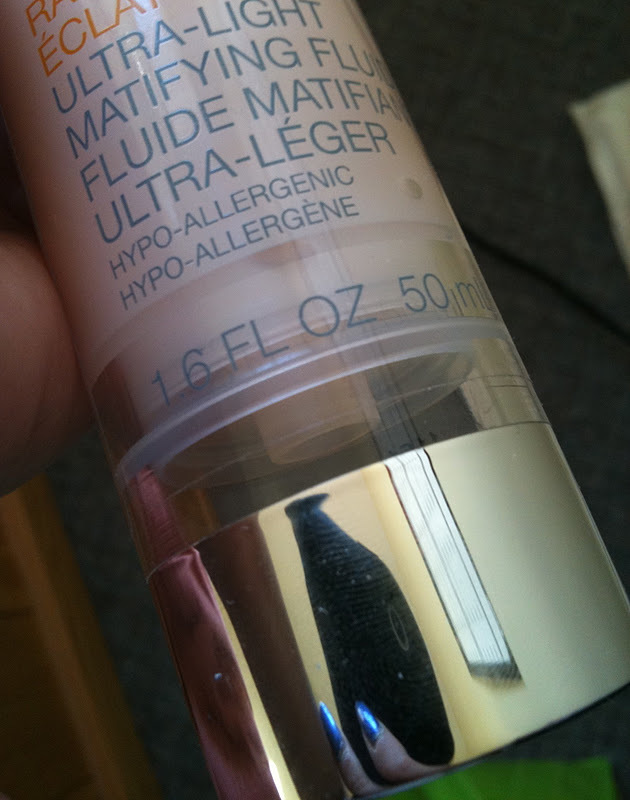 It seems to help my skin and keeps me matte longer than any other product I've tried. Absolutely brilliant and not super expensive either! Sprite Rating: 10/10. Despite some little things this blows competing products (i.e. Murad Mattifying lotion, etc.) out of the water. I love what this does for me and I can see it being a staple item for me from now on. Would I buy it again? Yes. Holy Grail material, I mean sure I'd like to be perfectly matte from when I put my make-up on till when I take it off 13 hours later but that is a pipe-dream with my oily skin- this does a wonderful job and I'm really pleased with it. Sounds like a great product! I'm impressed with the customer service! Thanks for the review!